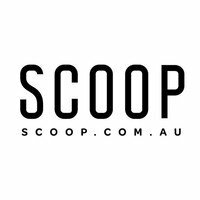 We have joined forces with Scoop to offer you the latest technology, designed to make your website the ultimate resource when planning a trip. You can now use email and social media to tell new & repeat clients about upcoming festivals, events, galleries, beaches, things to do, personalised itineraries and trails – all on your website! Showcase the latest events & attractions in English and Chinese. Leverage local events and attractions to increase new and repeat clients. Create special pages dedicated to local events, trails and recommendations. Visitors to your website can now enjoy a comprehensive guide to local event, attractions, things to do and places to stay in the region. Content is fully-customisable, so you can show as much or as little as you want. Work with other operators and cross-promote your favourite events and attractions. Use local events, attractions, customised itineraries and trails as part of your social media and email marketing. This is a great way to personalize content and give clients more reasons to revisit the region. Using a widget we can provide any WordPress website with rich, bilingual cloud-based content & powerful planning and marketing tools.